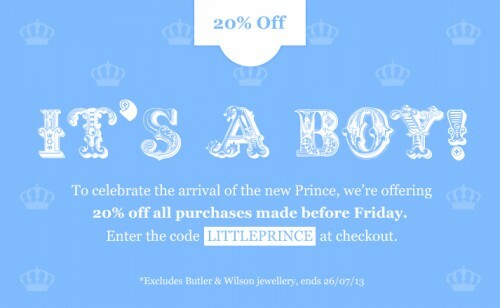 Accessories Online are celebrating the birth of our future King by offering 20% off all orders made before midnight on Friday (some exclusions apply.) If celebrating a new little prince wasn’t exciting enough already, you get to wear a gorgeous new piece of jewellery as you sip your Pimms and eat your way through a Victoria sponge. Perfect!